Korea, the Land of the Morning Calm, is a place that is truly unique yet distinctly Asian. Divided for many years, there are two existing factions in this part of the world, one in the North and the other, the South. Although they come from but one country, there are plenty of differences when it comes to the people residing in these divisions. North Korea, the Hermit Country or so it’s called, continues to thrive in old-school practices strictly enforced by a military regime. The locals make it a point to stick to their roots and in doing so have closed their doors to the rest of the world. People live simply and devote themselves to the cause. They live to please their leader, their Father, once was Kim Jong Il and now his successor, Kim Jong Un. The strict and military nature of life in the northern part of Korea is a complete opposite to what the people and practices are in the South. Carefree, vibrant, and full of life; this is what South Korea is to a lot of people. A bustling city center in the heart of the Land of the Morning Calm, Seoul, continues to thrive as a developing economic, political, and commercial center attracting international attention day in and day out. The people in the South, unlike their northern counterparts, live in freedom. They engage in various activities, they have fun, they sing, they dance, they travel, and they live life to the fullest. For the limited few that have seen the northern part of the country, the vibe is completely different from what can be experienced down South. Korea is a mix of old traditions and modern practices which can easily be identified by taking a look at lives in the North and South. Jeju-do (also spelled Cheju-do) or Jeju Island is South Korea’s premier island-destination. Officially named Jeju Special Self-Governing Province, Jeju-do is found in the Korean Strait, off the southernmost tip of the Korean Peninsula. It is not very far from Sasebo, Japan and Yangtze, China. The top tourism draw is Mount Halla, located at the center of the island. Jeju-do may be popular for its stunning natural attractions and world-class accommodation facilities, but its people and their customs also draw in tourists from all over the world. 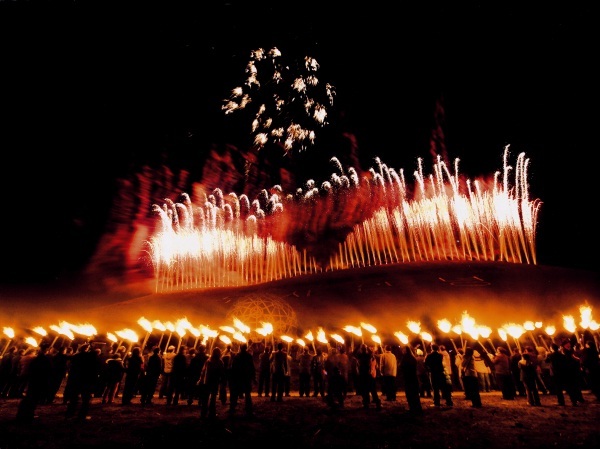 Local culture and festivals in Jeju-do are as intriguing as they are inviting. Since Jeju Island is detached from mainland Korea, the islanders have developed myths and legends that are uniquely their own. Jeju-do culture embraces more than a thousand local legends. The local culture is best represented by the Tolharubang (also spelled “Dol Hareubang”) or Stone Grandfather. The Tolharubang is an image of a smiling man with bulging eyes and a cap carved in basalt. It represents a local deity and is usually placed in front of local villages. There are a number of these images all over the island. Stone Grandfather is supposed to drive away evil spirits and promote fertility. Although this all-important deity is a male, Jeju society follows a matriarchal family structure. Korean fashion is holding up its own these days. Korean movie actors, artists and fashionistas have a kind of cuteness all their own and their type of fashion easily resounds in the West. Unlike other important Asian countries, South Korea goes through the same four seasons as the United States does. 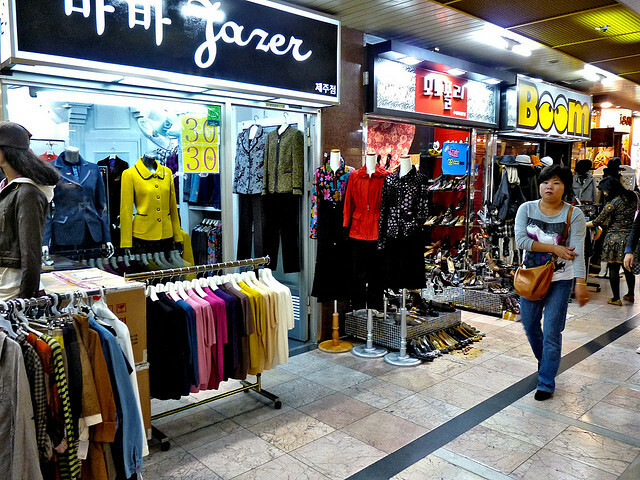 Korean street fashion includes the same kinds of clothing (suit, dress, jacket, cardigan, and so on) that are worn in America. When western tourists visit one of South Korea’s premier island destinations, they won’t worry much about what to wear in Jeju-do. They’d simply dress up the way they normally do in winter, spring, summer and autumn. Winter in Jeju Island may be not as cold as Seoul’s, but people come out wearing typical winter clouds just the same. Unlike in Seoul, Jeju-do locals won’t be wearing the usual earmuffs, thick jackets, thermals, wool coats, and warm pants. It only snows in the island’s northern areas, which is good for the locals since pineapples, cabbages and other important crops still thrive throughout the cold months. While South Koreans normally prepare kimchi for the winter, Jeju-do locals enjoy Korea’s most important vegetable dish all year round. Jeju-do is South Korea’s top honeymoon destination. Local and foreign tourists come here for that dream vacation they have always longed for. South Korea is a perfect vacation destination for westerners because while it is in Asia, it offers all the comforts and conveniences of a developed country, while alluring tourists with its well preserved traditions and heritage. Shopping in Jeju-do is also a great experience. With not many major department stores, it is not very difficult to discover where to shop in Jeju-do. The island Jeju-do (or Cheju-do) is near the Yangtze province of mainland China and Sasebo, Japan. The island is Korea’s largest, most popular and nearest to tropical Southeast Asia. The local flora and fauna are abundant and diverse within and around Mount Halla, the island’s iconic and most distinguished mountain located at the center of the island, as though the island existed just to border this picturesque peak. Mount Halla is South Korea’s tallest mountain and listed as a UNESCO World Natural Heritage Site. Because Jeju-do is a volcanic island, expect to see spectacular land formations, including the largest lava tube in the world. In addition to these landmarks, shopping in Jeju-do Korea is also drawing in local and international tourists. There are not many shopping places in Jeju-do; the leading ones are Jungang Underground Shopping Center, Dongmun Market and Jeju Folk Arts Complex, which basically sells traditional art pieces. South Korea’s Jeju-do Island is difficult to miss. It is so popular a vacation destination that it is referred to as the “Island of the Gods”. Where is Jeju-do exactly? It is that island located off the southernmost tip of the Korean Peninsula. Jeju-do (aka Cheju Island) is a wonder of nature in the South Korea Strait, with an eastern longitude at 127°27°E and northern latitude at about 33°22°N. This charming South Korean island is dubbed as the “Hawaiian Island of Korea”, although their climates are not anywhere similar. Although Jeju can be as warm as Hawaii with summer heat reaching 28° Celsius, it snows on the northern parts of the island. It never snows in Hawaii. Jeju is composed of eight inhabited islands and 54 unoccupied islets. Getting to Jeju-do involves travel either by air or by sea. Below are important details on how to get to Jeju-do. Getting to Jeju-do by air involves direct flights since there is a small but world-class international airport in Jeju City, the island’s capital. The Jeju International Airport may have a runway that is only 3 km long but it receives more than 7 million passengers a year with 13 local flights and ten direct international flights every week. Airplanes fly to and from Tokyo six times a week, Osaka four times a week, Beijing two times and Hong Kong three times. There are also budget flights coming in from Shanghai, Pudong, Nagoya, Fukuoka, Shenyang, Dalian, and Changchun. 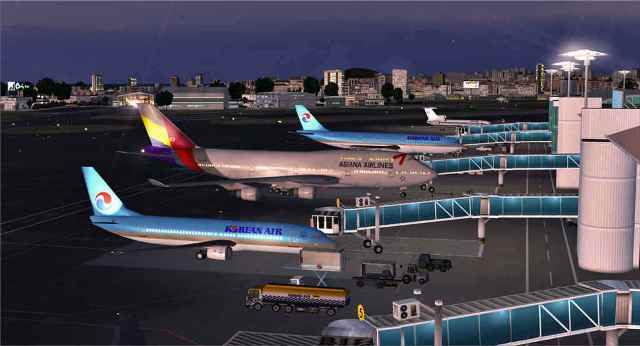 The leading local airlines are Korean Airlines, Asian Airlines and Jejuair, and the majority of domestic flights to Jeju Island come from the Gimpo domestic airport in Seoul.